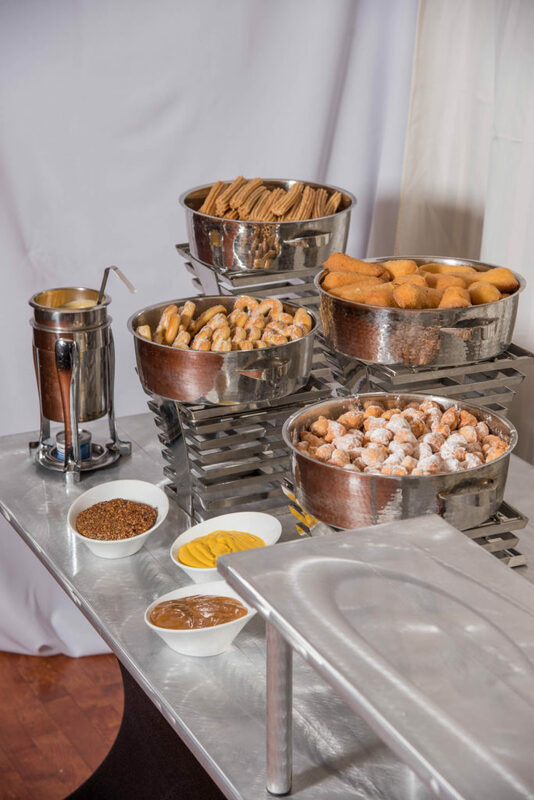 Food stations have become a very popular option at wedding receptions. 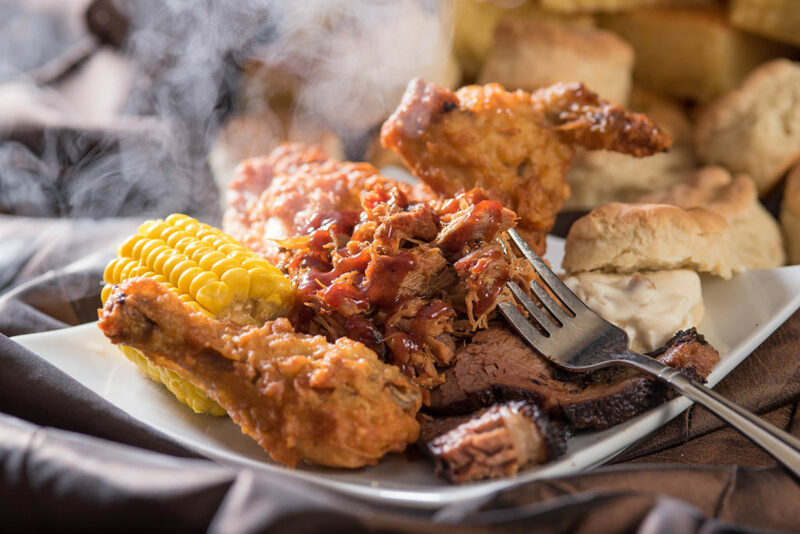 It’s a fun and affordable way to feed guests and get families mingling during the festivities. 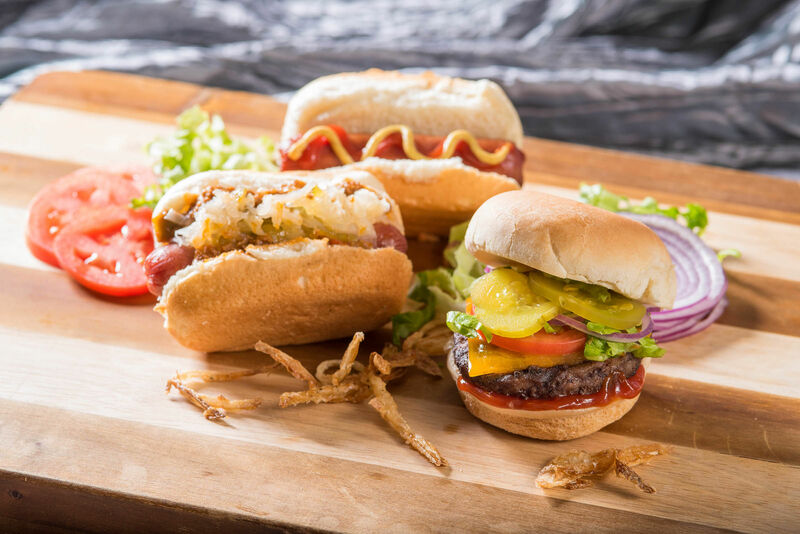 At the Windsor Ballroom, we offer a ton of options with a wide variety of different food selections. 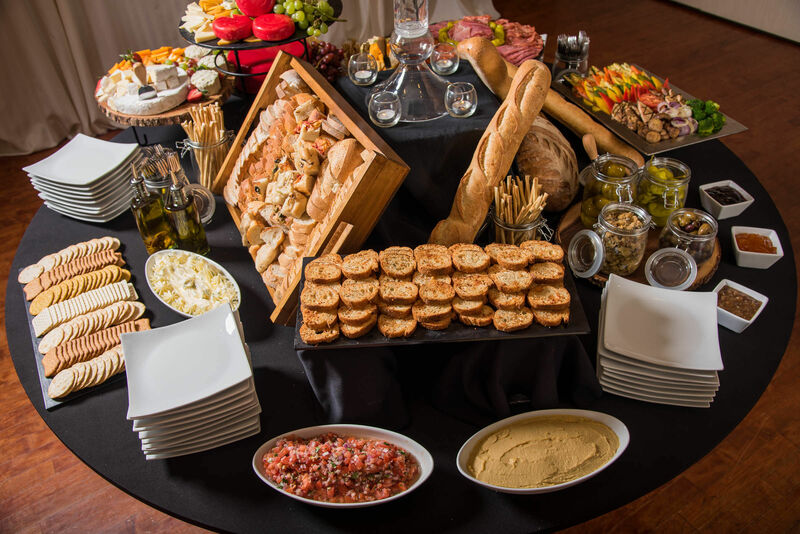 If you’re interested in food stations for your wedding reception, you may be wondering which one is best for you. 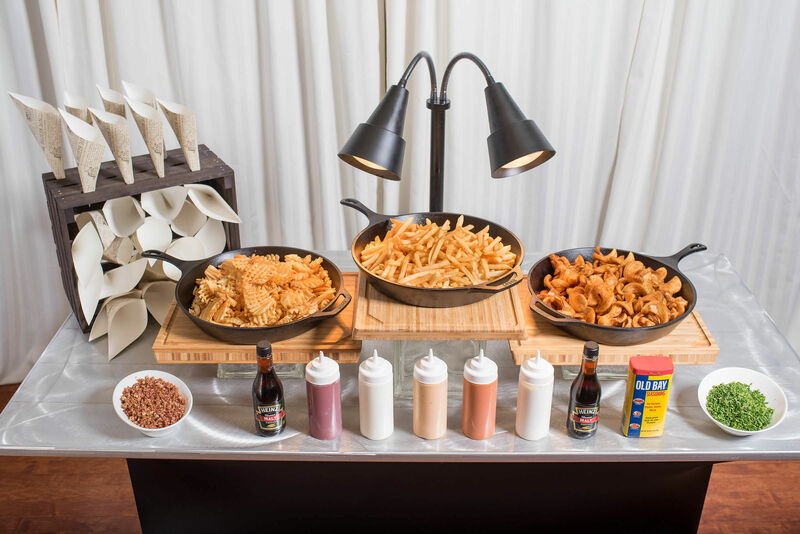 Though there are no right or wrong answers, here are a few suggestions on tying food stations with your wedding. 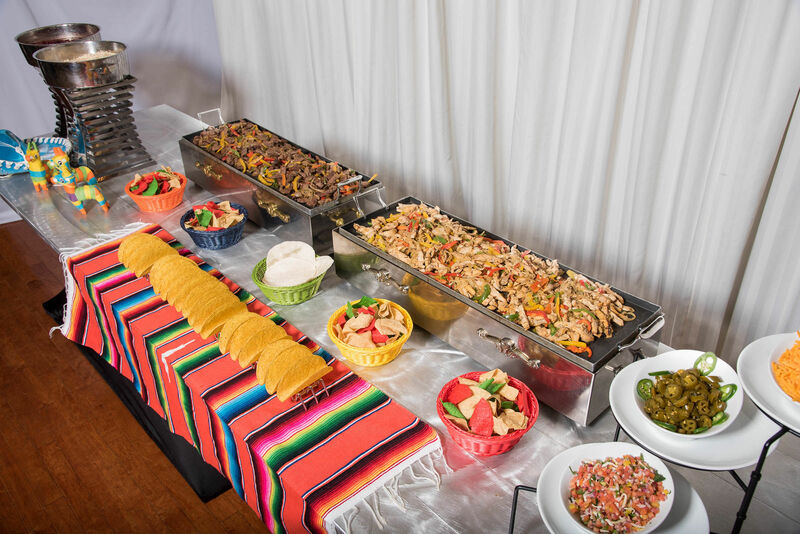 Whether you have a strong heritage you’d love to share with your wedding guests or you simply love a certain cultural cuisine, we offer several food station options available for you. 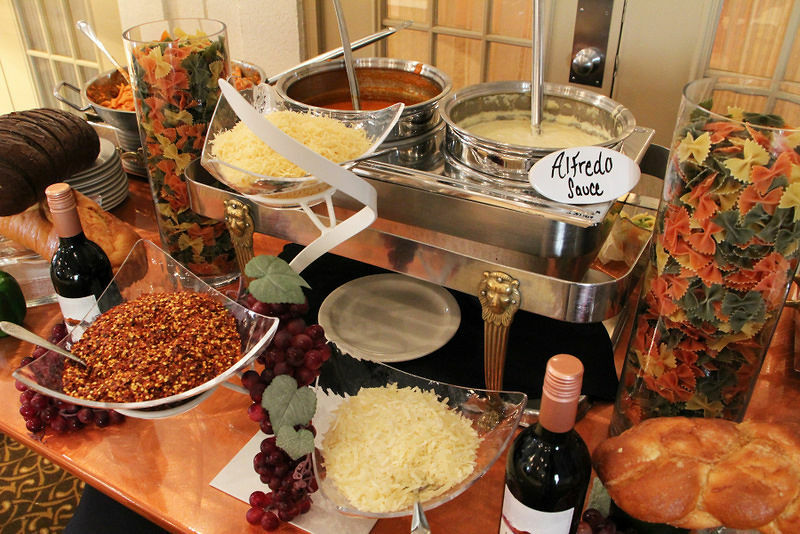 Some of our most popular include the Asian Fusion, Fiesta, Tuscany Table, and Pasta Stations. 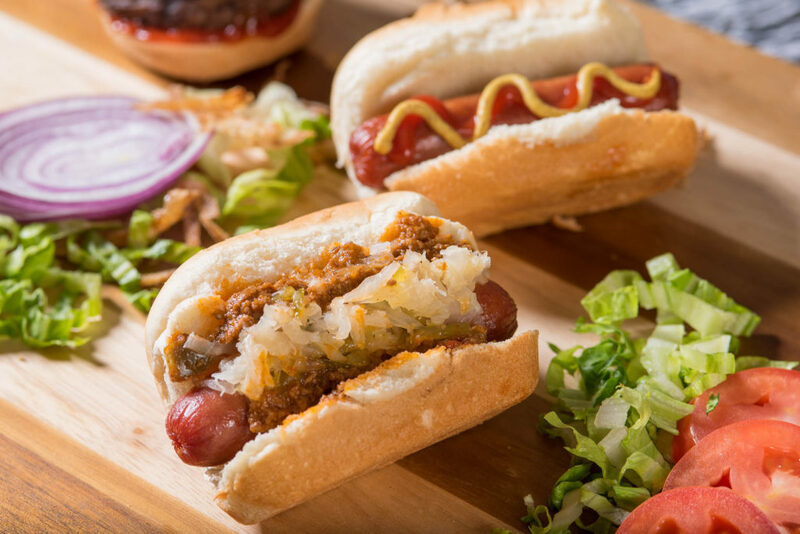 When you think of American favorites, what types of food come to mind? Perhaps hot dogs, hamburgers, popcorn, or beer? 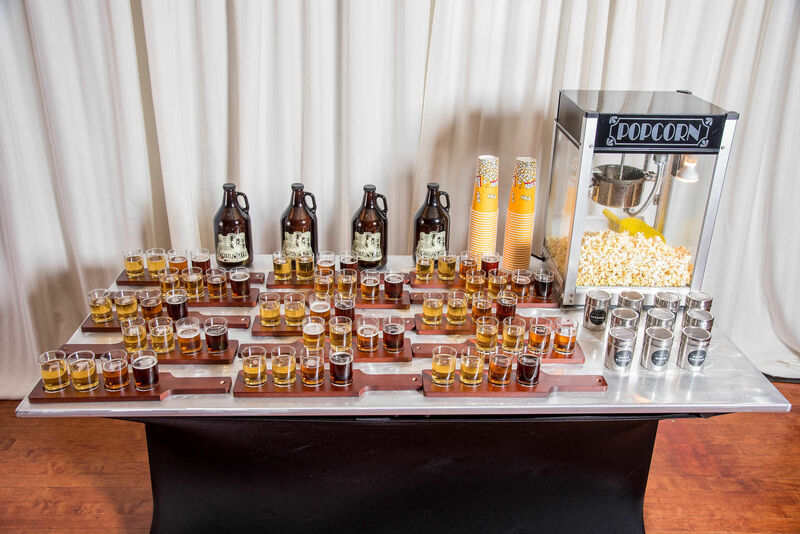 Well, if you think of any of those and would love to have them at your wedding reception we have options that include The Stadium and Craft Beer + Popcorn stations that are a hit with guests of all ages. Couples interested in telling a story with their wedding details might opt for a fun, childhood favorite’s theme for their food stations. It’s amazing how tasting certain foods can make you go back in time. 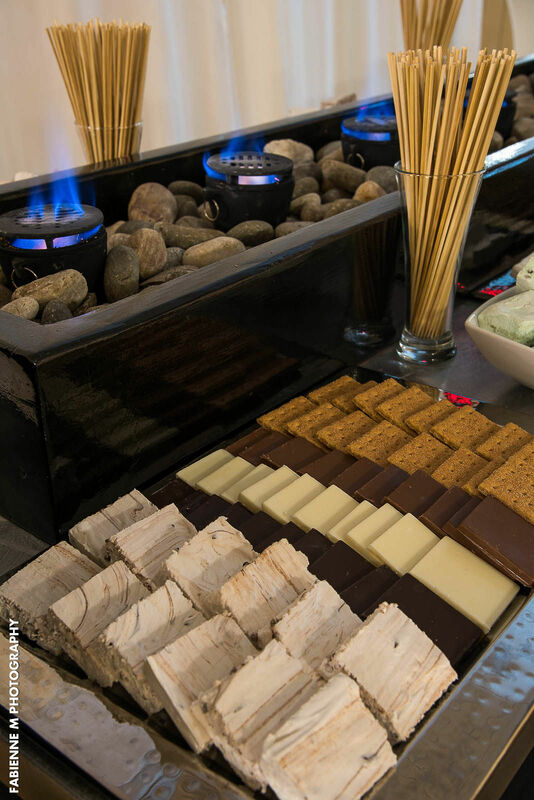 For instance, we have Milk + Cookies, Carnival Confections, and S’more Love stations that are fun to make and delicious to eat. 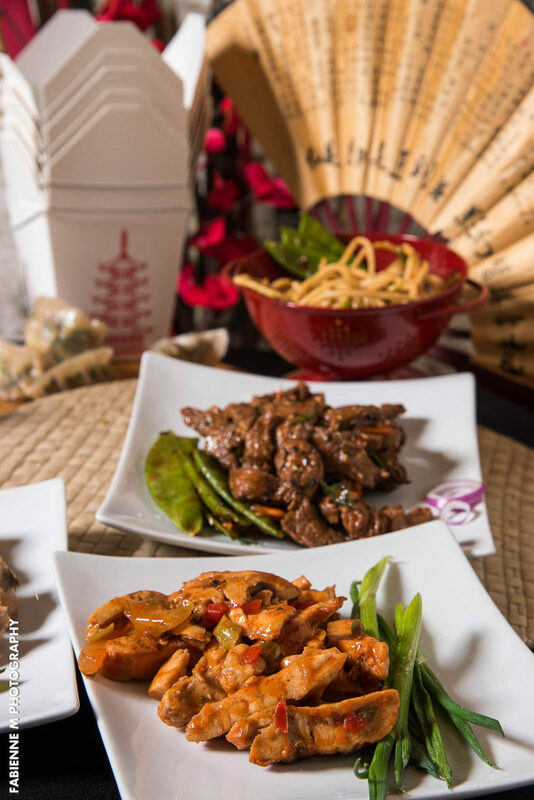 Some food just makes you feel good from the inside out. It’s not always the best choice nutrition-wise, but you love it just the same. Comfort foods are an all-time favorite for our couples. 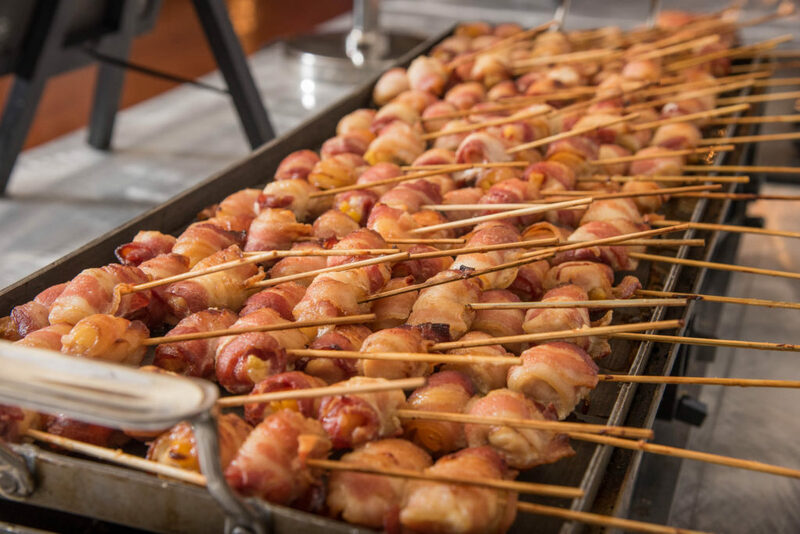 Some of the most popular food stations to fall into that category are the Bacon Me Crazy, Southern Comfort, and Fry Bar. 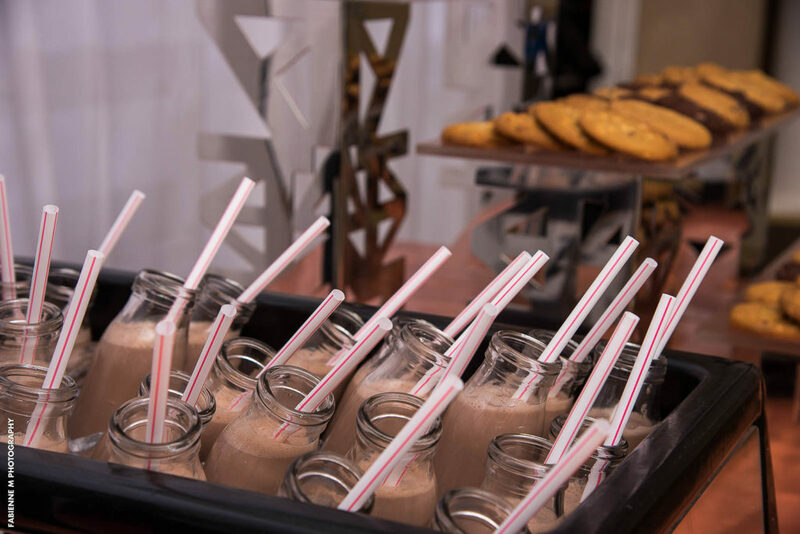 Food (and drinks, of course) are at the heart of every wedding reception. 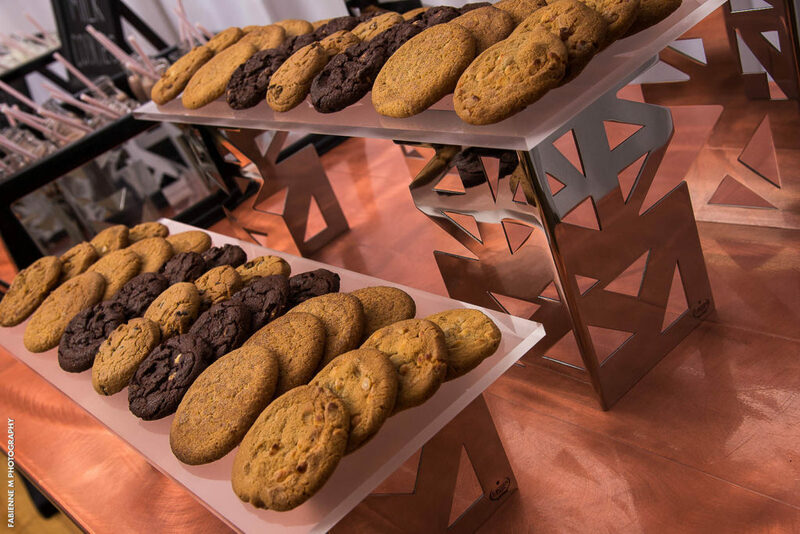 When it comes to creating your own menu, talk with our Catering Staff about all our food station options. 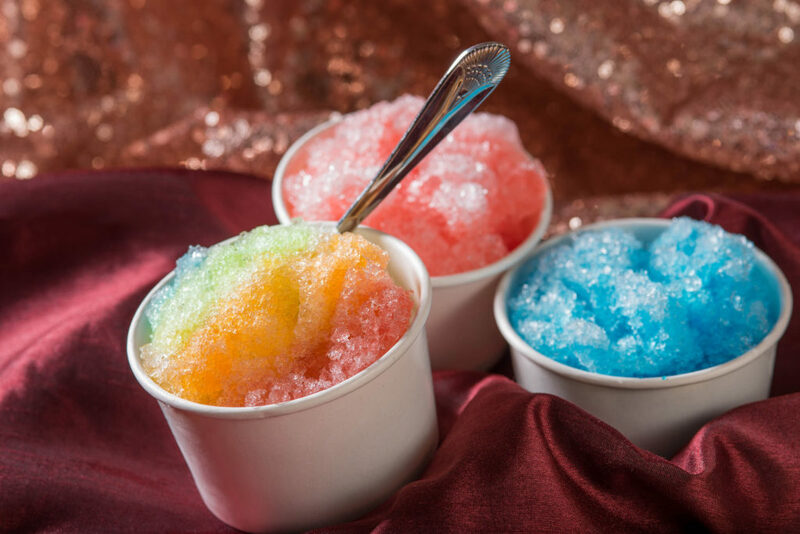 Whatever your wedding theme is, you can incorporate foods that speak to your heart (and likely some of your guests) to make it even more special.